In Santa Fe, the city different, at George R.R. Martin's personal theater, the Jean Cocteau Cinema, HBO and GRRM hosted a Game of Thrones Season 5 premiere with a tiny red carpet on Saturday March 28, 2015. 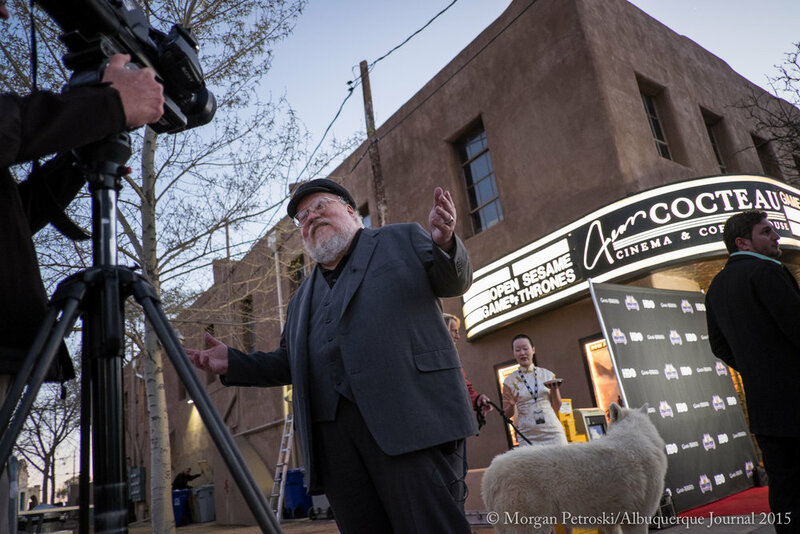 Now I just might be a Game of Thrones fan... so needless to say I was excited to shoot the event for the Albuquerque Journal. This also meant assistant arts editor and UpFront columnist Adrian Gomez and I were able to watch the first episode of the new season a few weeks early. High five! George R.R. Martin is a very cool cat and extremely generous. I even overheard him tell some fans that were passing by and stopped for a photo with him to wait around to see if any seats opened up so they could come in and view the episode. I don't know if they made it in or not, but for an invite-only event that was fully booked that was very kind of him. He and the theater also had earlier screenings in the morning for locals willing to wait in line. It was so popular they added an extra screening at the last minute. Santa Fe is a great place for a celebrity of any caliber to live or visit. The city and state are so laid back that celebrities can really just be part of the community. 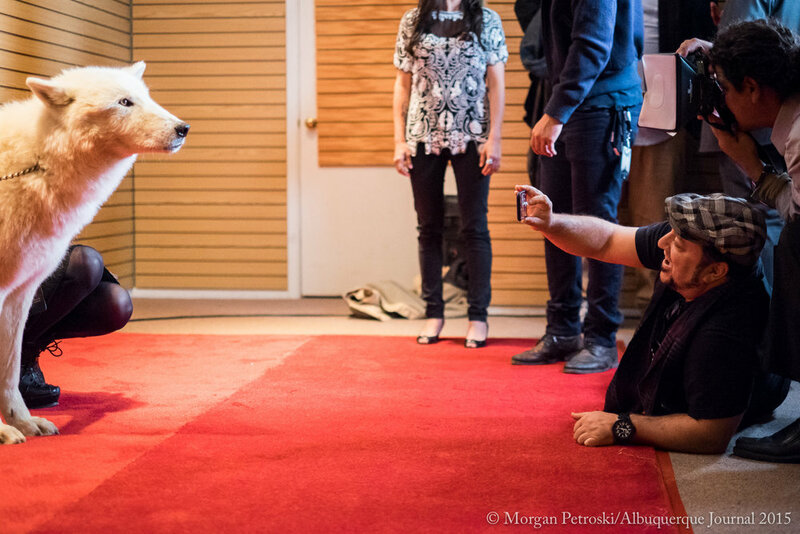 During the after party a group of actors currently in Santa Fe filming "The Ridiculous Six" stopped by and mingled with party goers and of course took some time to pose on the red carpet, but more importantly, pet and pose with Flurry, an Arctic wolf that was visiting from the Wild Spirit Wolf Sanctuary for the premiere. By the end of the night it honestly felt like the wolf was more sought after for a photo than any of the celebrities. George R.R. 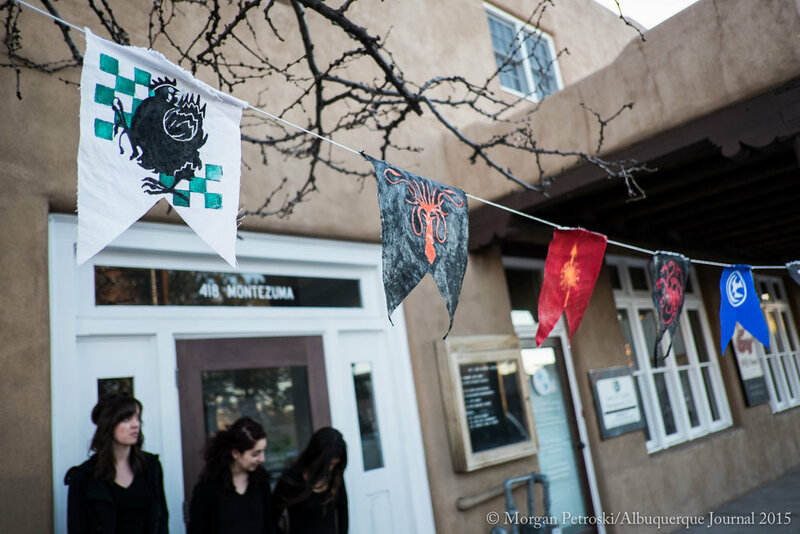 Martin has lived in Santa Fe for many years, before the Game of Thrones empire took off. The theater he now owns, the Jean Cocteau Cinema, closed down in 2006, and he bought it, renovated it, and reopened it in 2013, much to the delight of many New Mexicans. It's a neat little theater and he pretty much shows whatever tickles his fancy. Overall the premiere was quite laid back, heck the red carpet was all of 10 feet long. Whereas the season 5 premiere in San Francisco appeared to be what you would expect from such a popular TV show, with a much longer red carpet that stretched past the piles of media waiting to interview and photograph the show's celebrities. I watched the red carpet portion live on meerkat a few days before our own Santa Fe premiere. They were completely different experiences and I wouldn't trade ours for anything. Read more about the premiere in Adrian Gomez's UpFront column: "Hollywood comes to the City Different." 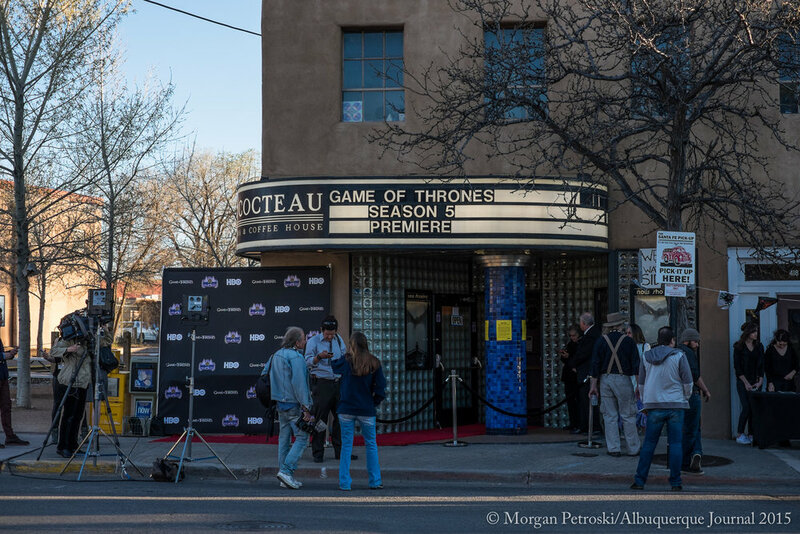 See more photos on our Albuquerque Journal photo page: Game of Thrones Season 5 Premiere.